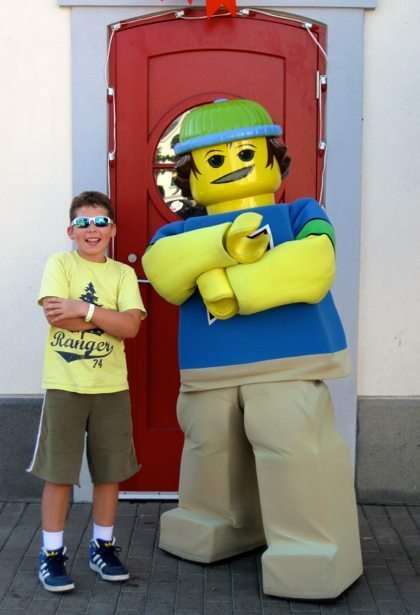 We have been coming to Legoland in Carlsbad, California since Hunter was in diapers thanks to the fact that my sister lives just down the road. Over 8 years, we have probably been 6 times and it is the thing that Hunter gets the most excited about when he knows we are coming to San Diego. Although his interests have changed over the 8 years, and what excites him differently each time is interesting from a parenting perspective, the utter joy that he gets has not changed a bit. He bolted out of bed on Friday morning (a rare behaviour) when he realized that it was Legoland day. 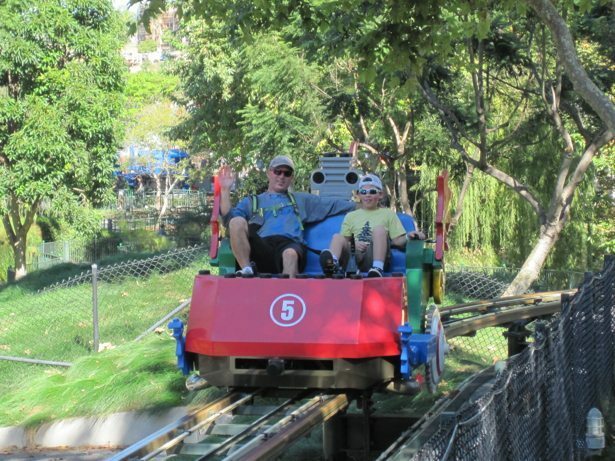 We started with the pedal roller coaster as Tim had fond memories of that ride. It’s a bit different with a 10 year old passenger and when you realize that it doesn’t matter if you pedal or not – they were both a little disappointed that they couldn’t make it go faster or slower along the way. Thankfully that was the longest line (20 minutes) that we stood in all day. Lego is BRILLIANT with respect to ride lines – they create play zones in the middle of the line so the adults stand and the kids play with lego. This makes things so much more manageable and keeps everyone happy. 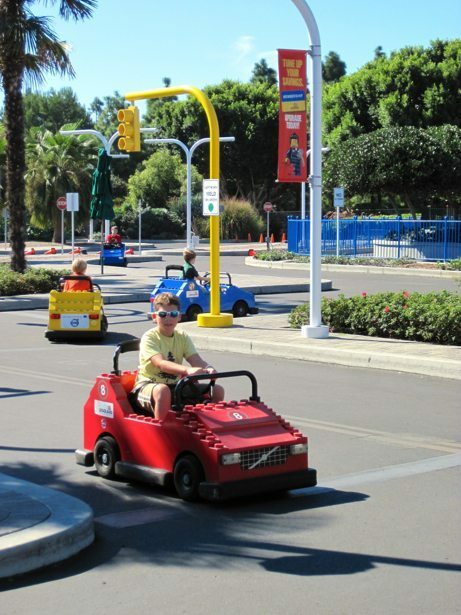 Next up was Legoland Driving School – on Hunter’s top 2 list of things to do (tied with mini-land USA). He takes driving quite seriously and would happily study for his drivers exam now if they would let him take it. This is a wonderful “ride” in that it is set up as a set of streets in a community, with stop lights, stop signs, merges etc. They challenge you to stay in your lane and follow the rules of the road. Hunter enjoyed it so much that we took 2 turns in the morning and went again in the afternoon when his cousin Taeya met us. 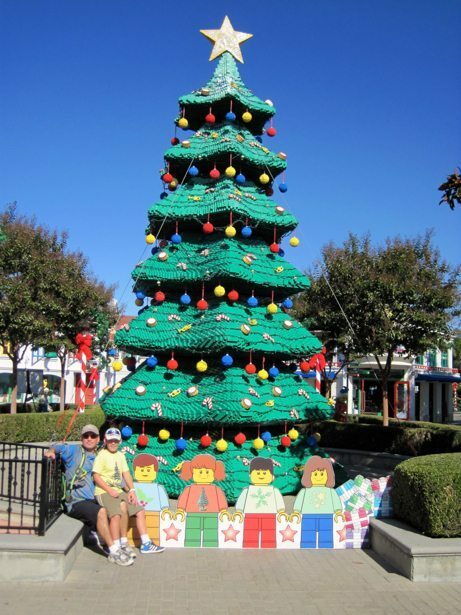 Legoland was just in transition to their holiday look and feel so we were unable to go on one of our favourite Fire Truck rides, but we enjoyed the Christmas Tree, Lego Factory and Indiana Jones Adventures in the Fun Town area. After a quick lunch we were off to the Pirate area, where Tim generously went on the Pirate adventure ride while I held everything that needed to stay dry and took photos. Those on the pirate ship have a water cannon and can use it to shoot the innocent bystanders outside the fence. 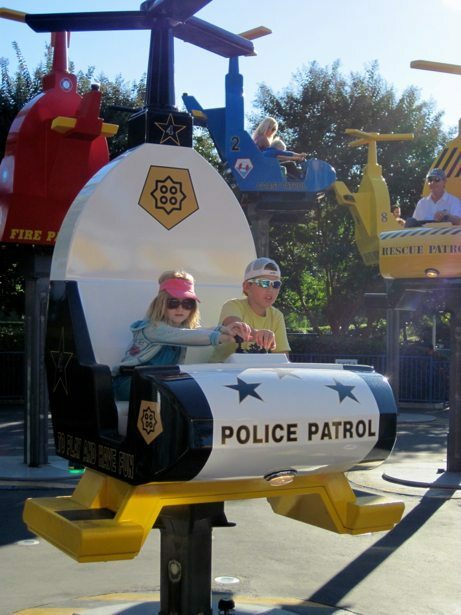 At the same time, there are strategically placed cannons for the not so innocent bystanders to use to shoot back at those in the pirate ship, which makes for a VERY wet ride! We caught up with Taeya in time to check out mini-land USA and then circle back on a few of everyone’s favourites. Taeya is a roller coaster lover and Hunter is not so Tim got to go on a few gravity based rides as a wonderful uncle while Hunter gave me the display by display education regarding Star Wars (there were 8 scenes and we walked through each one in detail! ).